Environmentally friendly cars are usually the big thing in California, but some performance models were unveiled this year, too. 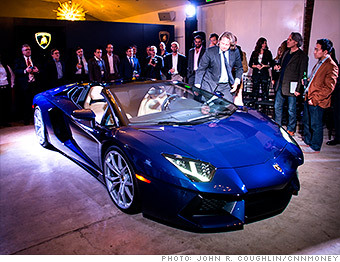 Lamborghini unveiled its latest model, a convertible version of the Aventador supercar, at a private nighttime party. The 700 horsepower all-wheel-drive V12 car has a 217 mile per hour top speed and a price tag $445,300. The first customers will get theirs in the summer.